In a simple place, among good people, a monstrous crime has taken place. For Alex and Kay in Canada, normal life is only a surface veneer, a thin casing covering a world of childhood secrets and lies from the land they left behind. 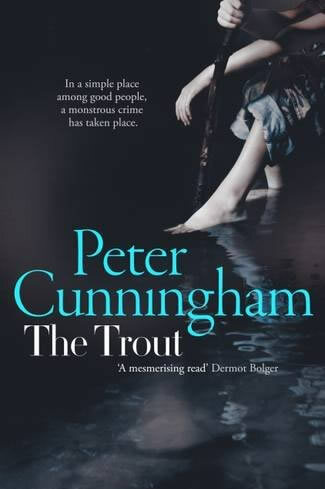 In a spellbinding story of one man’s search for the crucial secret locked away in his memory since childhood, The Trout bursts through the conventions and falsehoods of the past and hangs, beautiful and shimmering, in the clear light of truth. "Soon my room will lose its comforting redolence of books and paper to the fragrance of cut grass and pine. I know I like to deplore the short, cold days of winter, but the truth is that in winter I work best. During four such entombed seasons the story crept from me, word by word, until eventually it lay there in a stack of pages that went on to become a book."